I feel very blessed to have found some amazing open source and public domain resources for artwork lately, and our color art selection has really skyrocketed as a result. We are being careful to track the attribution requirements for each collection, so we can allow artists to create bio pages on our website, as well as adding links to their Twitter, Facebook, websites, etc. While many of our collections do not technically require this - we feel it’s important to recognize the authors of the artwork whenever possible - and help drive some traffic to their commercial ventures as well. If you love an artist, you should check out their website and see if you can help support their work buy purchasing something. 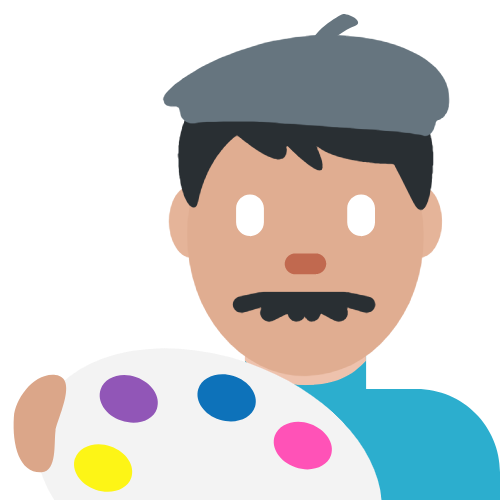 We love the idea that some of the generous folks who have open sourced their art, may end up getting some benefit by being in our app. We have some Illustrator scripts we can point you to if you need help getting this stuff out of your artwork. We also highly recommend using some of the awesome SVG cleaning tools, such as SVGMO and SVG Cleaner. 5- Your collection can be color, or simple black icons that are compound paths. If you are submitting icons, we can process them a lot faster if you upload them to the free app Fontastic and download them as an icon font - the “install manually” option on the publish page. Then just send us the resulting SVG font file. Remember to properly keyword each image! We cannot process font files that don’t contain keywords as the image names. 6- Make sure this work is yours, not work you’ve found online. We can only take submissions for artwork that you have full legal ownership of. 7- Provide a license .txt file that we can distribute when somebody downloads your image. You cannot include anything prohibiting commercial use, redistribution, or making of derivatives. Later on I’ll be adding a form using Wufoo - but for now I just ask that you submit any collections or questions about submitting to mspanish at outlook dot com. You can also give me a shout out on Twitter .